Chances are … if you have a pond, you have fish. In fact, fish may have been the primary reason you wanted a pond in your landscape. Fish are fun to watch and many pond owners will name each and every finned friends calling their pond home. While fish create a memorable experience, they can also bring create water quality issues if you go overboard when stocking fish. 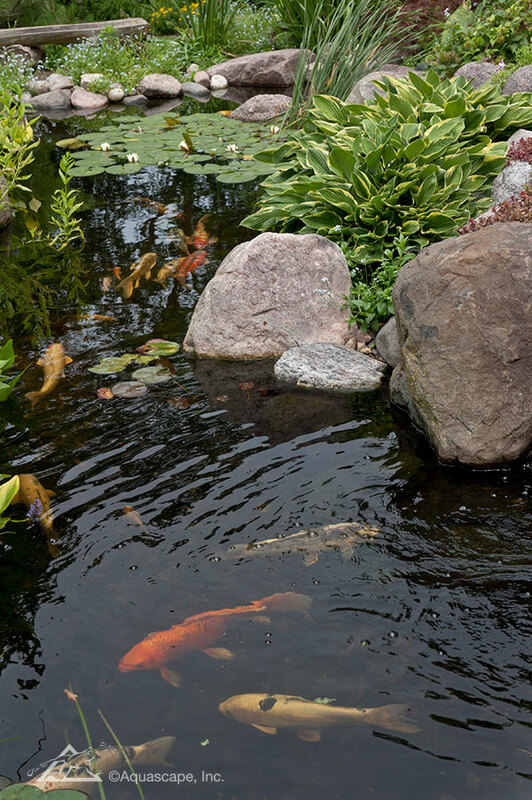 Too many fish in the pond creates an imbalance in water, so you’ll want to make sure you’re smart about the number and size of fish that you place in the water garden. So before adding another fish to your koi collection, make sure you have enough space so that all your fish are ensured a happy and healthy home!